With its release coming really, really soon, and a Closed Beta happening on September 24th, Ubisoft has recently revealed that Rainbow Six Siege is set to launch with 11 maps. While it was first reported to launch with 10 maps, Ubisoft came forward with a clarification and confirmed that 11 maps will be included, and that all maps that are to be released after the game’s official launch will come as free downloadable content. @GameWith_ Just a correction. We’re launching with 11 maps, not 10. Thanks. In a discussion with PCGamer highlighting Rainbow Six Siege’s design process, the game’s level designer Benoit Deschamps revealed that their team came up with more than 50 ideas for the game’s map setting, but they had to trim the number down to 10. He also said that more maps will be released in the coming days after it is officially launched. “As for now yes, there are ten maps… but we have more planned because we’re already working on more content for players after launch,” he said. “We want players to stay with us for the long term and have ambitious post-launch plans that we will detail at a later stage,” a representative from Ubisoft also stated through an email sent to PCGamer. As for the 11 maps included in the launch, Ubisoft has also confirmed that these are playable both day and night, and that these are going to use the full potential of their Real Blast destruction technology. Rainbow Six Siege is set to be released for Xbox One, PlayStation 4, and the PC on December 1st, a few months delayed from its original October 13th release date. 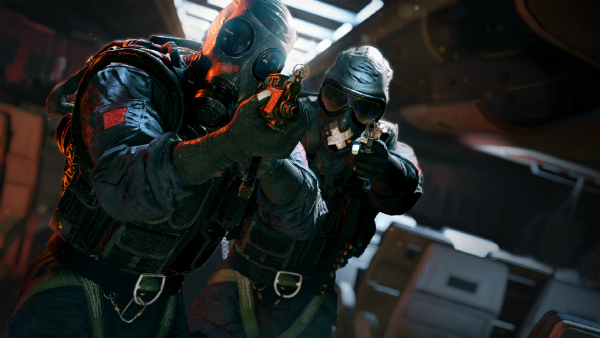 As mentioned, Rainbow Six Siege is having its Closed Beta which is set to start on September 24th for eligible users. The Closed Beta is available for Xbox One, and PlayStation 4, as well as on Uplay and Steam for PC users. Players who pre-order the game are guaranteed access to the Closed Beta. Take note, though, that only players from selected countries are eligible to take part in the Closed Beta. You can find more information about that here. If you’re eligible to join, you can go ahead and sign up for the Closed Beta here. Awesome! I hope this will be as good as the others or even better!